Foremost, I would like to express my sincere gratitude to my supervisor for the continuous support of my BS Computer Science study and final year project, for his patience, motivation, enthusiasm, and immense knowledge. His guidance helped me in all the time of research and writing of documentation. I could not have imagined having a better advisor and mentor for my BS Computer Science study. I am particularly grateful to Supervisor who proof read this documentation and whose sincerely efforts took the work to its conclusion. Writing this documentation has been both a challenge and pleasure: a challenge because of the volume of various aspect of utilization of ICT that needed to be considered; a pleasure because it provides the implementation of Medical Laboratory Management system. The primary Aim of this project is to improve accuracy and enhance safety and efficiency in the Store Procedure. Today management is one of the most essential features of all form. This system provides sophistication to perform any kind of task related to Laboratory. My practical approach and quality of the information gave a new dimension to my understanding and provided me with the knowledge which will be used in my professional career. I hope it will also enhance the knowledge of reader about Medical Laboratory Management System. Medical Laboratory Technology presents the development in the medical laboratory science. In many countries, there are two main types of labs that process the majority of medical specimens. Hospital laboratories are attached to a hospital, and perform tests on patients. Private (or community) laboratories receive samples from general practitioners, insurance companies, clinical research sites and other health clinics for analysis. For extremely specialized tests, samples may go to a research laboratory. A lot of samples are sent between different labs for uncommon tests. It is more cost effective if a particular laboratory specializes in a rare test, receiving specimens (and money) from other labs, while sending away tests it cannot do. In many countries there are mainly three types of Medical Laboratories as per the types of investigations carried out. Clinical Pathology: Haematology, Histopathology, Cytology, Routine Pathology. Clinical Microbiology: Bacteriology, Mycobacteriology, Virology, Mycology, Parasitological, Immunology, Serology. Clinical Biochemistry: Biochemical analysis, Hormonal assays etc. The medical laboratory management system is built for the purpose of effective and clear data saving and manipulating. The medical laboratory management system project highly minimize time and resource by which, searching the reports and data you can get the data in quickest time. And almost the resources are wise used since most actions are done on the medical laboratory management system. Some of the resources minimize the manpower and paper work. The feature use to storing data in a secure way. 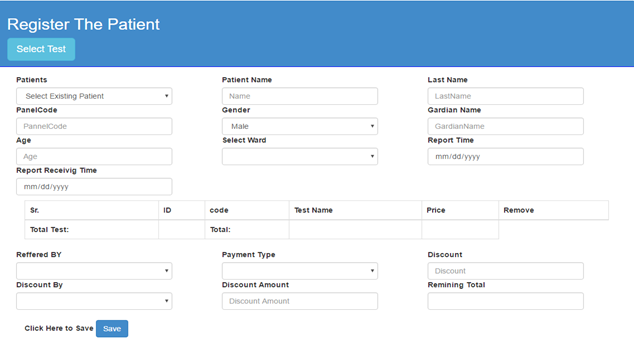 The application can be used in any Hospital that has medical/laboratory within the hospital for maintaining patients’ tests and test report detail by customizing some of the features. It is the user friendly application which reduces the burden and helps to manage all sections of laboratory like patient reports and Billing etc., which improve the processing efficiency. 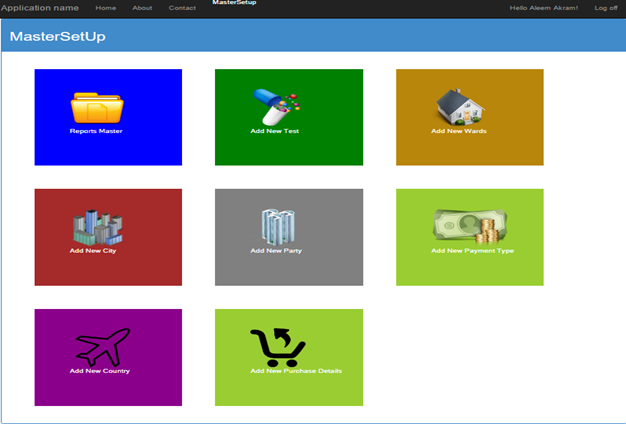 It deals with the automating tasks of maintaining of Bills. Billing management is the key process. 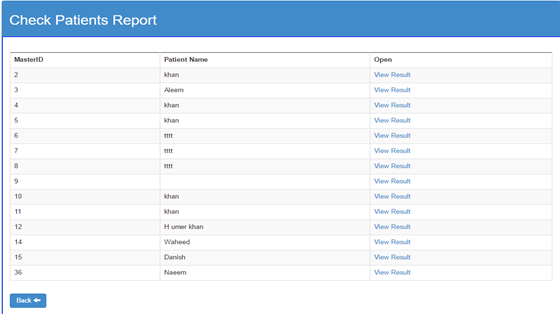 Including safe data store about patient reports as well as fast searching, delete and update of reports. The laboratory management system is easy for use so the user can do actions without ambiguities. The main Objectives of the MLMS is making the Laboratory organizations computerized by creating neat work through minimizing or eliminating wasting of time as well as removing the resources such as papers for data saving since knows a days is paper based. User-friendly Is the way that the built system is not ambiguous which is clear for using the created software interface for manipulating actions or tasks? In the other way the proposed system is designed for human likable components in color, font and other related things. Manual based system The system that uses was paper based and arranged on the shelf through functionality of documents. Everything that is arranged, searched, updated and deleted is through humans only. In general manual based system is un-computerized system which is tedious in its data arrangement for efficient work. Laboratory The place where done the different test which recommended by the doctor for the purpose of known the disease. Management system A system in which manage, organize, formulate data’s through a technical data structure arrangement. Billing The way in which generating paper which store information about some specific data containing details explanation. ASP.NET The ASP Technology. ASP and ASP.NET are server side technologies. 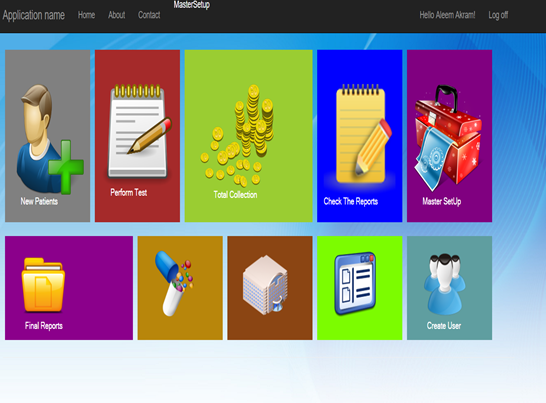 The Laboratory management system is built in order to replace manual based system to computerize. Here system is expected to be efficient, useful and affordable on implementing tasks that is order by the Lab in charge. This gives an overview of events that have occurred in Laboratory practice through several ages both in the past and present, and also indicates possible events of the future. By modern standards, the laboratories of a large medical center represent a place for the synthesis and application of the basic sciences to the treatment of patients by engaging in clinical and basic research, performing thousands of procedures daily, and providing discrete teaching programs. These laboratories depend on the institution while the institution and its students, physicians, and patients depend on them. Pathology has its origins in ancient medicine but developed only as science advanced. Herophilus, one of the great Greek physicians, along with Erasistratus, provided a beginning for anatomical pathology and autopsy. They performed the first scientific human cadaveric dissections over a period of 30 to 40 years. Human dissection was then forbidden and not allowed again for over 1800 years. Events in North Africa and southern Europe, especially at Monte Cassino and Salerno, led to the establishment of the outlines of classical medical education that would prevail for half a millennium. The basic elements of physiological and pathological theory remained the four basic humors and the four qualities; their respective balance was understood to be the objective of health. Humoral imbalance or complexional distemperancy could be diagnosed easily through examination of the urine. Therapeutic procedures followed the Hippocratic triad of regimen, drugs, and surgery, including bloodletting . This humoral theory was disproved during the Enlightenment of the 18th century as hospitals and medical education developed. The study of pathology began to develop rapidly as autopsies were performed more frequently, especially those performed after a patient’s illness had been monitored in the hospital. As a result, physicians began to believe that pathology could inform diagnosis. During this period, Auenbrugger (1722–1809) developed a method of auscultation (thumping the chest and noting the resulting sound) by working on cadavers and then on patients. In the 19th century, cell theory advanced. Theodore Schwann (1810–1882) discovered cells in all human tissue. In the mid 1850s, Rudolph Virchow (1821–1902) developed the concept of cellular pathology: a diagnosis of disease could be made by examining cells. Advances in scientific knowledge impacted both medical practice and medical education in Europe and America. The acceptance of anatomy as the basis of disease led to the study of anatomy, both theoretical and practical, “as the cornerstone of all medical teaching”. During the first half of the 19th century, the study of anatomy in the USA suffered because of a “dearth of hospitals and teaching clinics, the lack of full-time teachers, and especially the absence of centralized control over what was taught and who could practice medicine”. Pathological anatomy was not taught as an independent subject but was often combined with medicine or perhaps anatomy. Much-needed reforms in medical education were made in the USA in decades after the Civil War. Harvard University made reforms in 1871, emphasizing “learning by doing.” These reforms were followed by reforms at the University of Pennsylvania and the University of Michigan. The most spectacular innovation in the history of American medical education, however, was the opening of the Johns Hopkins Medical School, which provided 2 years of instruction in the basic sciences and mandatory laboratory work. A major change for pathologists, clinical laboratories, and hospitals occurred in the 1960s at the inception of Medicare and as more and more laboratory work was financed by Medicare. Amendments to the Medicare law in 1967 provided for 100% reimbursement for inpatients to hospital-based physicians. Hospital outpatient diagnostic services were transferred to part B of Medicare. In the same year, the Clinical Laboratory Improvement Act was also passed and established minimum quality requirements for clinical laboratories engaged in interstate commerce to participate in Medicare. The act imposed significant administrative and cost burdens on hospitals and pathology groups of BHCS and other health systems. In 1972, >100 amendments to the Medicare Act were adopted. Fee schedules for routine laboratory work were established on the basis of the lowest charges paid within a region. Reimbursement for teaching physicians was transferred to Medicare part A. In addition, Professional Standards Review Organizations were given responsibility for review of Medicare services, including those provided by pathologists. In Texas and other states, the number of malpractice suits filed against pathologists as well as other physicians increased rapidly. As hospitals lost charitable immunity, they along with pathologists were subject to increasing numbers of claims and suits. In the 1970s, 1980s, and 1990s, laws and government regulations affecting hospitals and physicians were adopted and enforced with increasing intensity. Medicare-Medicaid Fraud and Abuse Amendments were adopted in 1977. One section called for disclosure of ownership of ≥5% in a facility such as an independent laboratory in order for the facility to participate in Medicare and Medicaid. Pressure on reimbursement rates was increased progressively. In 1978, for example, “lowest-charge” reimbursement was established for 12 commonly used laboratory tests. A year later, an “automated fee schedule” for Medicare was established for laboratory tests in some laboratories. In 1987, under the Omnibus Budget Reconciliation Act, previous allowances for return on equity for hospital outpatient departments, including laboratories, were eliminated and Medicare reimbursements were reduced, adversely affecting both BUMC and the pathologists. In 1988, the Clinical Laboratories Improvement Act extended federal jurisdiction for the regulation of clinical laboratory quality to all clinical laboratories in the USA. The act also provided for Medicare coverage of selected preventive laboratory services, including Pap smears every 3 years. In the following year, the Omnibus Budget Reconciliation Act of 1990 reduced laboratory fee schedules again and barred self referral to laboratories owned by physicians. In 1990, fee schedules were again reduced, and shell laboratories were defined as those that do not do on site at least 70% of the tests for which they have received requisitions. In 1992, the first regulations of the Clinical Laboratories Improvement Act 1988 took effect. At the same time, final regulations of the 1987 act were implemented, as was the Stark-self referral ban. In the late 1990s, Medicare regulations continued to impose confusing and onerous regulations on laboratory medicine at BUMC, throughout BHCS, and in other health care systems across the country. In the early 1980s, the concept of managed care as a means of controlling the cost of health care to the individual, employer, and government was gradually developed and began to be adopted across the nation. While Texas and Dallas were slower than some areas of California and the upper Midwest in embracing managed care, by about 1984 it was having a small but growing impact on BUMC and the BUMC medical staff, including the laboratories and professional pathology services. At the outset, there was a movement toward the development of health maintenance organizations, preferred provider organizations, and independent practice organizations for physicians—all designed to control and contain the cost of medical care. Major changes began to be made in the way patients were served and laboratory services for them were provided and paid for. Pathology and laboratory medicine developed rapidly during the 20th century and are likely to develop even more rapidly in the 21st century. BHCS physicians are poised to provide the best in patient care because of their main focus on patients—rather than on teaching and research, as is the case at academic medical centers. Medical staff members of BUMC and other components of BHCS will make early use of scientific advances to enhance both diagnosis and treatment of patients. Experience gained under BHCS’s tertiary care programs at BUMC and specialized hospitals and centers on the Dallas campus and from research at the Baylor Institute for Immunology Research will contribute to cancer diagnosis and treatment, organ transplantation, and other tertiary-level care throughout BHCS and elsewhere. In addition to new test development, an early undertaking will be creating a single patient record—a lifetime record—based on data in the clinical laboratory record. With such a record, a patient seen at BUMC and at Baylor Medical Center at Garland, for example, will know that tests done and recorded at one BHCS institution will be accessible at other BHCS units. Standardization will allow BHCS to make sure it has equal quality at all of its sites. The goal is to standardize methodologies, collect feedback across facilities, and aggregate and analyze results. Through these means, pathologists can develop organizational confidence around each standardized procedure. To provide the highest-quality care, BHCS will need to continue to attract, retain, and support the professional practices of increasing numbers of physicians and medical scientists. New professional skills will need to be available. Physicians and scientists retiring from practice will need to be replaced. Moreover, future chiefs of services will need to be attracted in competition with academic medical centers, medical schools, voluntary hospitals and health systems, health care companies, pharmaceutical companies, research institutes, and other entities. A final challenge relates to education. In pathology and laboratory medicine, more residencies, fellowships, and PhD programs will need to be offered by BHCS. Exceptionally well qualified individuals will need to be attracted as residents and fellows. PhD and postdoctoral opportunities will need to be provided at BUMC and in cooperation with medical schools and graduate schools of universities. Resources for clinical decision support. Error prevention and quality assurance. Advances in bar-coding and even radio-frequency identification technology will help in medical flied to verify the appropriate use of medications. Telecommunications infrastructure. For example, to be able to send a patient a text message reminder to take meds or measure blood glucose levels. This will lead to better self-care management behaviors. Collaborative practice connectivity, achieved through a combination of electronic prescribing (e-prescribing) and the ability to connect to and exchange data with labs and physician offices. Delivery service support, using GPS-driven telecommunications systems for routing, tracking, order status, dispatch, locating, and oversight. Medical Laboratory that does not step up to this challenge will lose the ability to handle important drugs, and this will mean loss of some of their most valuable prescriptions and patients. Several companies sell software and hardware that increase the efficiency of laboratory by managing workflow. The laboratory management system is a basic pack of software that helps to enhance the pace of workflow and to organize an effective data management system for a laboratory. Once the MLMS has been installed at your workplace, you will have a lot of data that can be easily retrieved. There will be no fear of data loss or damage as the MLMS can store all data with 100% reliability. A MLMS system will provide various levels of security and audit trails to enable you to trace activity and provide accountability. The project scope is defined and the existing methodologies that are commonly used in software development projects now-a-days in IT industry are discussed then the adopted methodology for completing the project is determined and then the reasons for readopting that methodology are discussed. Following this step, the duration’s for the various tasks necessary to complete the work are listed and grouped into a work breakdown structure. System analysis is referred to the systematic examination or detailed study of a system in order to identify problems of the system, and using the information gathered in the analysis stage to recommend improvements or solution to the system. System analysis is referred to the systematic examination or detailed study of a system in order to identify problems of the system, and using the information gathered in the analysis stage to recommend improvements or solution to the system. System design is also the overall plan or blueprint for how to obtain answer to the question being asked. The design specifies which of the various type of approach. The act, process, or profession of studying an activity (as a procedure, a business, or a physiological function) typically by mathematical means in order to define its goals or purposes and to discover operations and procedures for accomplishing them most efficiently. Another view sees system analysis as a problem-solving technique that decomposes a system into its component pieces for the purpose of the studying how well those component parts work and interact to accomplish their purpose. Analysis and synthesis, as scientific methods, always go hand in hand; they complement one another. Every synthesis builds upon the results of a preceding analysis, and every analysis requires a subsequent synthesis in order to verify and correct its results. The field of system analysis relates closely to requirements analysis or to operations research. It is also “an explicit formal inquiry carried out to help a decision maker identify a better course of action and make a better decision than she might otherwise have made. System analysis is the study of sets of interacting entities, including computer systems analysis. This field is closely related to requirements analysis or operations research. It is also “an explicit formal inquiry carried out to help someone identify a better course of action and make a better decision than he might otherwise have made. System Analysis is a methodology that involves the application of systematic approaches to collects facts about an existing system with the aim of improving it or replacing it with more efficient system within the context of the available resources. In other words, System analysis can also be viewed as the process of investigating a system, identifying problems and using the information to recommend improvements to the system. Significant amount of time is allocated for writing the order as the pharmacist needs to go through the stock balance and make rough estimate for the amount to order based on Figures. The state of drugs in stock is manually checked. Mistake of selling expired drugs to customers. Filing cabinet in the pharmacy with paper record. Pharmacists having access to the proposed system at any time. Ensuring effective policing by providing statistics of the drugs in stock. Improving the efficiency of the system by ensuring effective monitoring of services and activities. Generating report within a specified period of time. Preliminary investigation plays an important role in developing a satisfactory requirement. Its’ as a result of thorough investigation of how the current or the existing system works using the facts gathered at the preliminary investigation that leads to focusing on the possibility of replacing the existing system or improving upon the existing system. This task involves information gathering. Collecting and analyzing existing materials on the project topic, written by different expert. Studying the present system in detail and the organizational style. Knowing and understanding the input and output processes of the existing system. Interviews: A qualitative form of interview was conducted in the pharmacy to know the equipment needed, and the mode of operation of the old system. Primary data: This source has to do with the text book contacted for the development of this project. System design is the process of defining the architecture, components, modules, interfaces, and data for a system to satisfy specified requirements through system modeling. One could see it as the application of systems theory to produce development. The design of this system will be user friendly. It shall be designed in such a way that employees will be able to navigate easily through the information supplied on the system. In other words, system design consists of design activities that produce system specifications satisfying the functional requirements that were developed in the system analysis process. System design specifies how the system will accomplish. System design is the structural implementation of the system analysis. According to Rajasekar, Philominathan and Chinnathambi (2013) the methodology was used in this study is one of the models used in software development, that is the agile model and it is one of the latest models to be introduced in the software development industry. The term of agile stands for ‘moving quickly’. 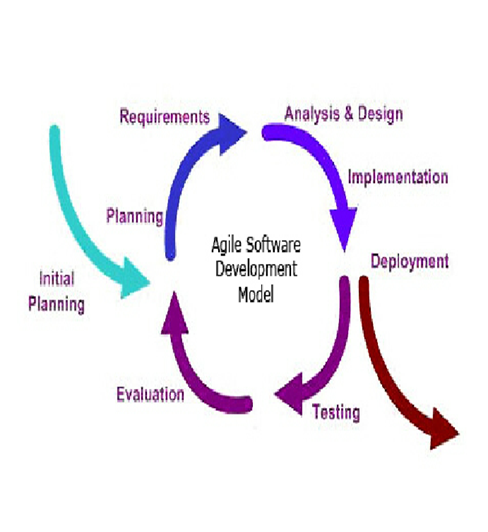 This of ware development methodology is based on iterative and incremental model of software development. The most important principle in this model is customer satisfaction by giving rapid and continuous delivery of small and useful software. The first step of this method is requirements (planning) in which the requirements for the application are gathered and analyzed, the work is planned and in the end of iteration will produces a complete and final specification of requirements. According to the information that has been the gathered for the needs of elderly patients to solve the problem of forgetting, the application will contain the all what they need to remember in their life. In this phase system requirements and all the features of the application are described. It is the most creative and challenging phase of system development. In the section of implementation phase convert the specifications into working and reliable software and hardware, and document the work that has been done. Software testing is a quality assurance activity. It is an important part of any project. Agile software development focuses on individuals and interaction, strong collaboration with customers, and finally with the short and frequent deliveries of valuable working software. If we look at these activities, they are useful from testing and quality assurance point of view, but if we compare Agile with other conventional methods, then we will come to know that from the testing perspective, Agile methods have lacked different important aspects of the software testing process. If we look into the quality assurance practices which are being followed in agile methods, then we would come to know that these methods have greater emphasis on building constructive quality practices. The Agile methodology that proposed to develop this study contains four phases, they are: Requirements (planning), Implementation (design), Testing and Evaluation. During the system requirements and design activity, systems may be modeled as a set of components and relationships between these components. These are normally illustrated graphically in a system architecture model that gives the reader an overview of the system organization. System modeling helps to give more detailed system specifications which are in form of graphical representations that can describe problem to be solved or the system that is to be developed. Because of the graphical representations used, models are often more understandable than detailed natural language description of the system requirements. 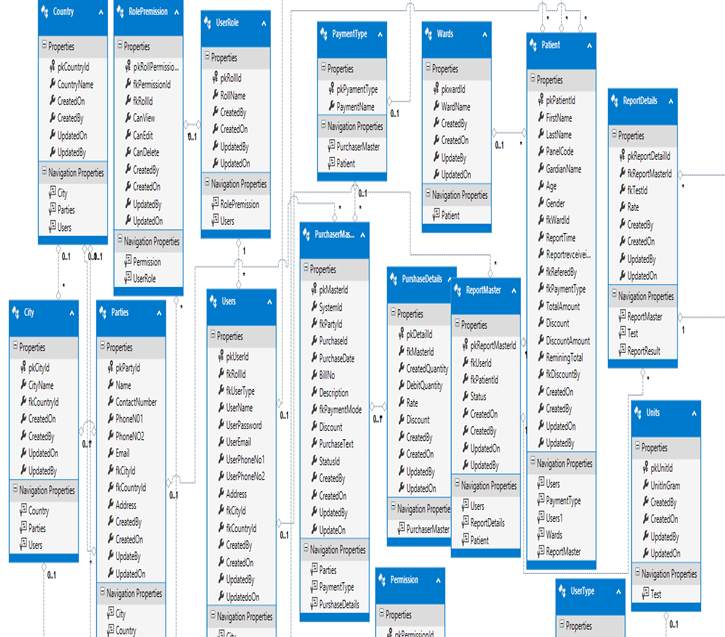 Examples of such modeling tool are a System Flowchart. This is a shared collection of data that are related or files that are to meet the immediate need of authorized users. These data may be in form of text, numeric, date or encoded images. Table 3.1 above serves as a repository for administrator details, that will be able to have access to the entire details on the application. It is a table that stores the administrator login details. 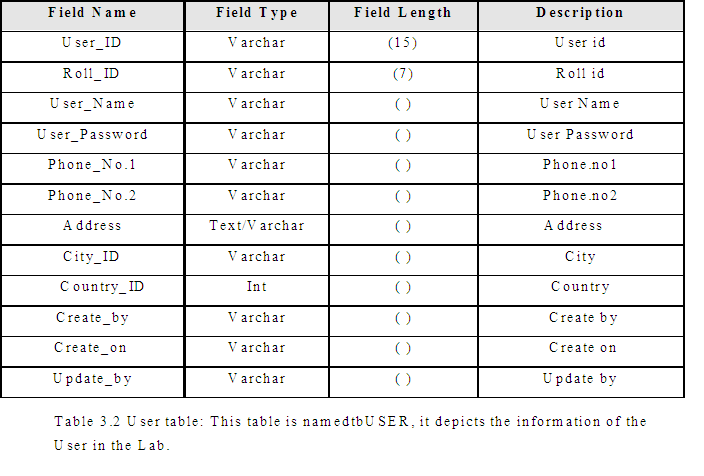 Table 3.2 shows the information about the User in the lab and is being queried from the database on the user registration page to show all the tests for user to select. Table 3.3 above serves as a repository for Doctors details, which will be able to have access to the required details on the application as stipulated by the administrator. It is a table that stores the doctor’s login details. Table 3.4 above serves as a repository for staff details, that will be able to have access to the required details on the application as stipulated by the administrator. 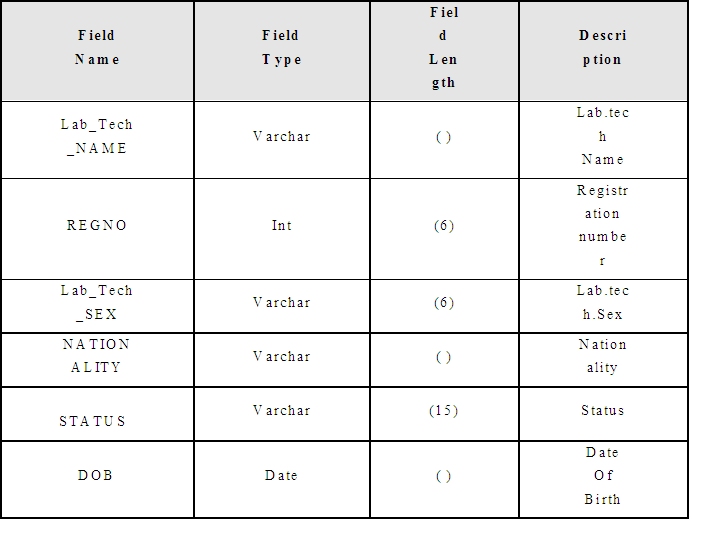 It is a table that stores the lab.tech login details. System implementation is a stage in system life cycle whereby a new system is developed, installed and made ready for use. It is this stage that all details and key point in the requirement specification are practicalised. System implementation therefore, is a very essential stage in which its success determines to a great extent the success of the new system. At this instance, after all is said and done the system is duly ready to be implemented (Medical Laboratory Management System). System design is concerned mainly with the coordination of activities, job procedures and equipment utilization in order to achieve organizational objectives. It addresses data input and output data, processing and interface. The propose application to be built is not a web based application that needs internet facilities to function but a standalone application. The choice of programming language to use for this program is visual basic. The structure of the Basic programming language is very simple, particularly as to the executable code. Visual Basic has many new and improved features such as inheritance, interfaces, and overloading that make it a powerful object-oriented programming language. 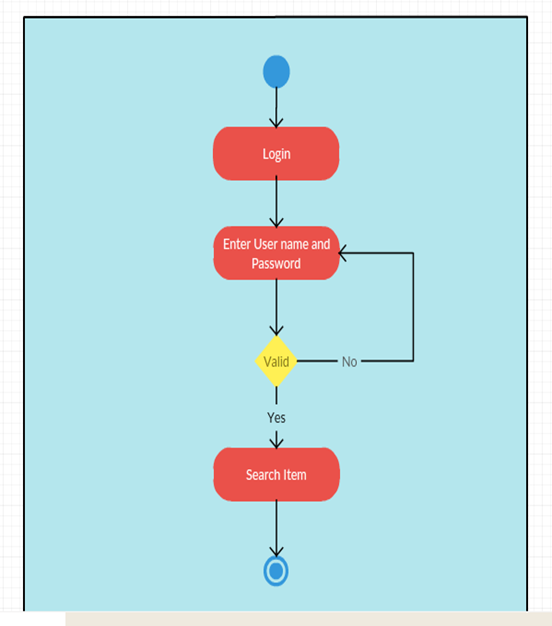 It is particularly easy to develop graphical user interfaces and to connect them to handler functions provided by the application. Visual Basic fully integrates the .NET Framework and the common language runtime, which together provide language inter-operability, garbage collection, enhanced security, and improved versioning support. Visual Basic supports single inheritance and creates Microsoft intermediate language (MSIL) as input to native code compilers. Testing is an integral part of software development processes. This is to ensure that the quality requirement of the application is not compromised by testing and debugging program modules before they are integrated, testing the system to ensure an effective inter-operability after integration. Debugging has to do with fixing of errors encountered during program execution. System testing deals with the real life testing of the system, to ascertain how far it has gone in carrying out the expected task. This was carried out in two phases. Number one is the source code testing which examine the logic of the program. Secondly, the specification testing which involves the examination of the system as regard to what it should do and how it should be done given specific conditions. This includes inputting data, collecting its output and comparing it with the output of the old system and assessing it to see if it can replace the old system. System documentation is a crucial aspect of implementation process. It describes the working of components and serves as a method of communication between application developers and users. It also helps future analysis of application either by the same or different system analysts and developers. To setup the system, there must be visual basic 6.0 software installed on the computer before it can work. A database is a single file which consists of structured data and records which are stored in minimum or no duplication of data. It is therefore a constructed, consistent and controlled pool of data. A good database must be common to all users and independent of the programs which use it to generate output. However, Microsoft Access was used as the database application tool for designing the database management system. The database management system is limited only to database administrator (Management). Whilst the system designer / developer / programmer is responsible for maintaining and upgrading of the database and the whole software. MLMS are give a unique number, all actions performed against the samples are recorded with details of the person performing the action and the time when the action was performed. This increase in trace-ability aids with regulatory compliance, improves the capacity of the lab, and improves turnaround times. The current Medical Laboratory. Management System were manually base system which is almost all works on the laboratory organization is accomplished by papers. And the other one is data security, the data’s can be accessed anyone who entered to the medical lab. House as friends, other Humans without the volunteer of the doctor. The laboratory worker in tedious situation because of the upper reasons. Not efficient on arrange test on the shelf meaning arrangement method is difficult to take in mind. In current system almost all medical laboratory do not use computerized system but use computer for giving bills only for the sold medicine to the user. And use manual searching of medicine on shelf because of manual based system and there is nothing which gives alarm for the finished or sold medicine. Also there is a difficulty on store the data which wastes resources as well as time to retrieve the necessary data from the manually based data system. So generally the current system does not arrange medicine in systematic way, does not store the medicine appropriate data, security for the data is low, does not indicate how much medicine is needed and sold quickly and efficiently. The laboratory system will implement by the laboratory unit of the organization. At present, manual system is being utilized. This system requires the lab. In-charge to manually monitor each test that is available in the laboratory self. This involves manually entry up on arrival of batches of test and upon test’s movement out of the unit, for example, dispensing to patients or product recall or loan to other clinics/hospitals. The medical laboratory management system is design based on computer science students in order to illuminate the problem of the current system which provided by the system involved all the laboratory employees of this system. This accessibility of the information will be great advantage as it reduced further medical errors associated with physicians and nurses. The system handles all aspects of the inventory control function. 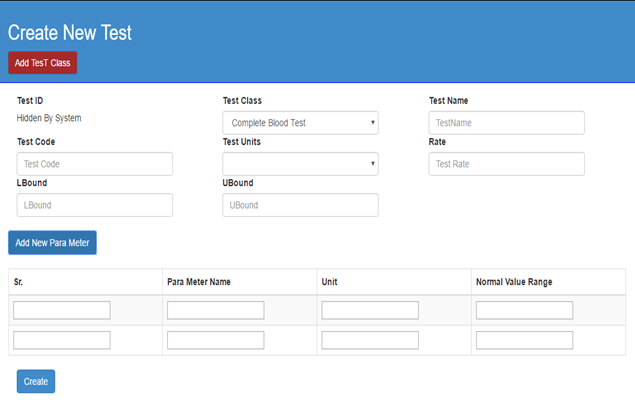 It allows the lab.incharge to receive new batches of test, delete obsolete test and modify the current do and identification of test in the database. Furthermore, the system eases the process of stock replenishment. On the other hand, MLMS enables dispensation process. It stores all the Doctor’s prescription of the patients. A summarized list of tests dispensed to the patient can be viewed for monitoring purposes. With the proposed system, the lab.incharge will be able to monitor the movement of the test with ease. The system is design to track the entry of refresh batches of test, be it upon orders from manufacture or loan from the hospital/clinics. It also monitors the test’s movement history, thus leads to better inventory management of money allocated for the purchase of test equipments.Compared to the current manual system, the implementation of medical laboratory management system will reduced the time spent for paperwork, leading to concentration on improving care of patients, especially emphasis on patients’ counseling and patient medication monitoring. It will be greatly embraced by the laboratory profession. The medical laboratory management system provides functions on identify good test usages instruction, minimize human errors in medication safety, facilitate accessibility of test’ information and information management among employees, providing optimal tests movement in laboratory unit, enable reports with in significantly short period of time, despite simultaneous usage of database for the purpose stated above. The system will solve the problem of the current system by minimizing time wastage and reduce resources which simply change manual based system to computerized system. There are functions done by the system such as: store the necessary information of patient, prepare bill for the reports, give week reports, easily searching of patient reports and data, Update, delete and save data’s of patient. The Laboratory management systems save reports on information about the test which is recommended by the doctor. The MLMS has easily searching of Patient data which shows in which show the patient unique ID, name, mobile number etc. The searching process is based on the name of the give data or the identification of the item. Here when the user search about the patient reports and the data related to the patient displayed in the screen. This Laboratory management system is able to operate in the following characteristics. Any familiar in using windows operation can operate the system since it have user friendly user interface. Which have the instruction menu’s how to use it which self-directive application then can be used the system without ambiguity. The user interface is friendly which is easy to use. And having attractive frame structure which is prepared in assumption with other related systems. The Laboratory management system is operated and controlled by the lab incharg for safe work. This Laboratory management system operates in any version of windows operating system. Such as windows xp, windows 2003, windows 7, windows 8 and other related versions. The system can be easily maintained by the super admin of the laboratory system by using the prepared documents of the system for easy maintenance. Other ways it is maintained by the system developers for corrective and other heavy problems. 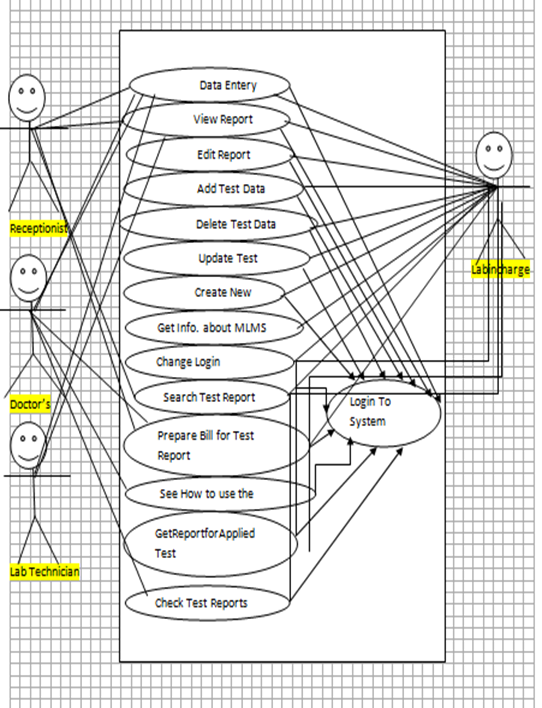 The medical laboratory management system is based different model view to represent the system in understandable way such as in scenarios, use case models, object models, and Activity diagrams. The Laboratory management system registers patient, store on the database again accessed when needed, remove when obsolete, modified when additional information is exist, Export reports when test is done, billing for sold tests. The Lab in-charge and the receptionists can get information on the patient by navigating the laboratory management system. 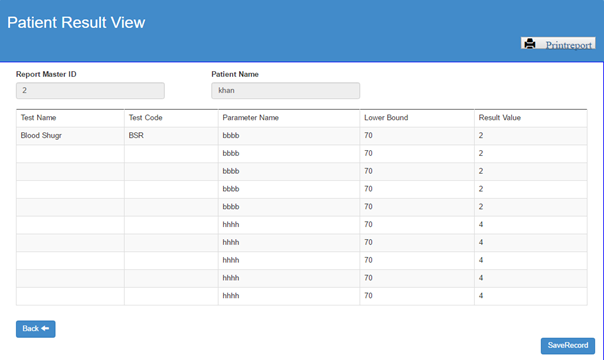 From the system page can see about the all record of patient and reports, about the laboratory including basic information. Through this the laboratory management system can display different information about the laboratory effectively and efficiently in short period of time. 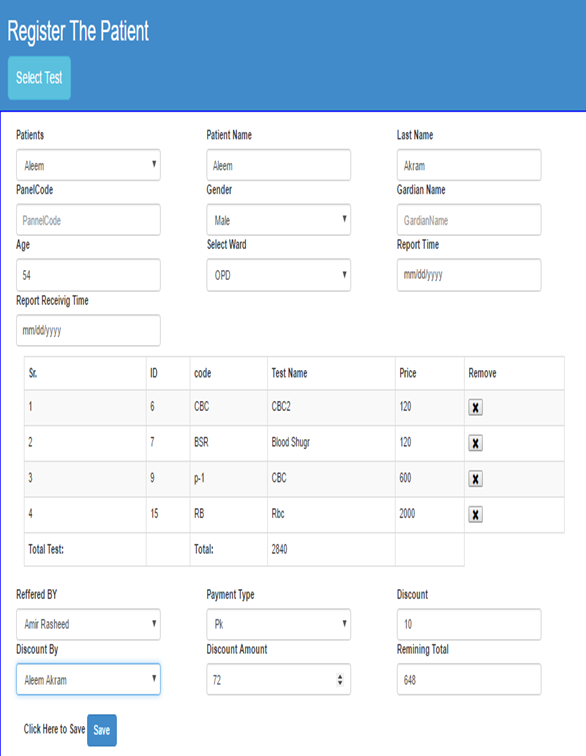 The Lab in-charge can control over the system such as record laboratory information store on the system and again retrieve for data see, delete, update, and print also the receptionist can see reports of the patient in weekly, and monthly as the user needs this is all about the function done by the system and do the Labincharg. The following is scenarios explain more. The user or receptiveness initiates the system. The system displays the first page. The first page consists of login Menu’s. The user enters user name and password. 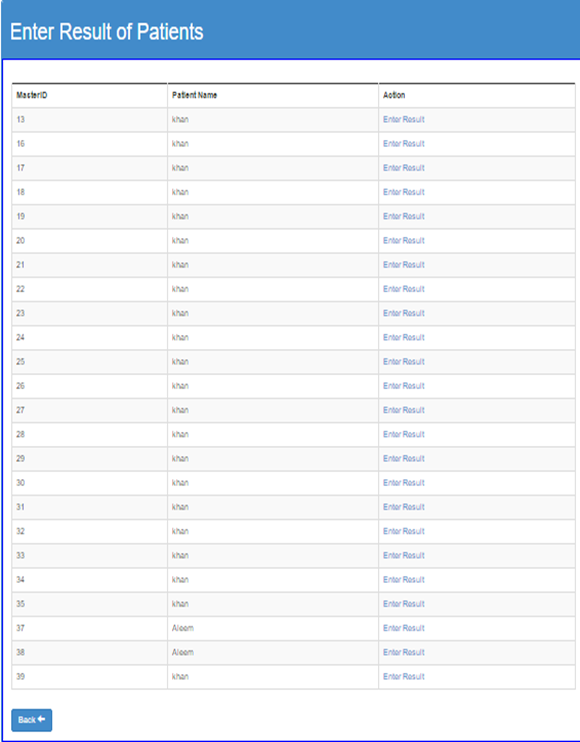 The system displays Main admin page. Enter the information of patient. The Lab incharg initiates the system. System displays about that patient which one selected. The lab incharge going to the login menu and click on it. 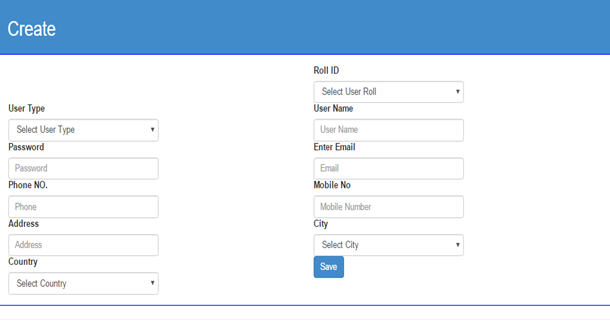 The lab incharge inserts username and password to the fields. System checks the username and password. If the input were valid value, then system will display general system of the medical lab. System. Error message. And prompts for the correct username and password. Without restarting the System, it will close. 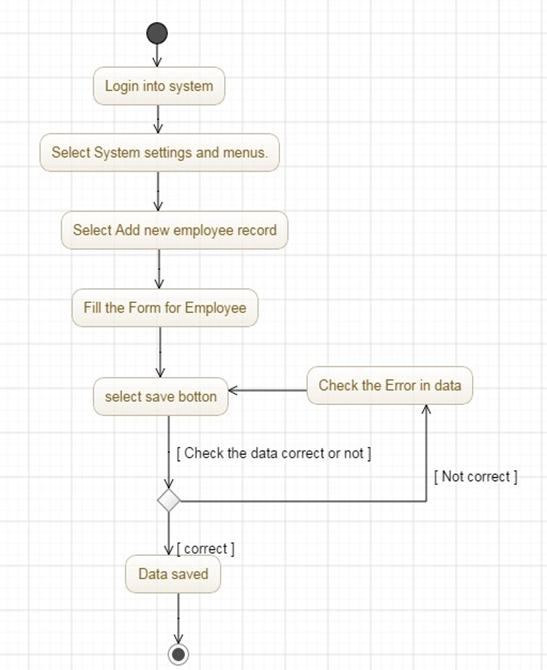 Step 1-4: if the user clicks on cancel, the system will go on the laboratory Navigation page. Post condition: username and password of the user is Validated. Summary-Makes the user to understand about the MLMS. The lab incharge initiates the system. System displays the test available on the laboratory with cost and purpose. System displays about the organization services and establishment. Step 5-7: if the user enters cancel the MLMS will stop the operation. Entry condition The Medical Laboratory management system must be on process or opened. Exit condition The lab in-charge making Transaction could not be processed. Quality Requirements The transaction must be processed less than two seconds. The lab in-charge login into the system. Go to the system settings and menus. Select on new medicine record option. Then the lab in-charge fills the form that the test data has. 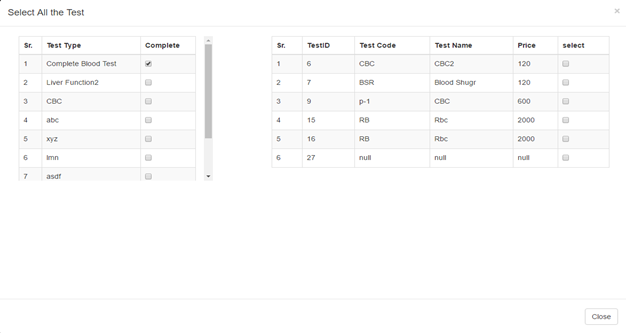 Then save the test data that fills in step 5. If the data’s input were correct then system saved it into the disks. Step 1-7: if the user enters cancel the MLMS will stop the operation. 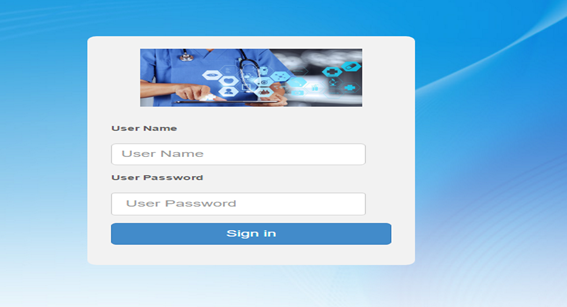 Entry condition The medical laboratory management system must be on process and login to the system. Exit condition. The lab in-charge making transaction could not be processed. Quality Requirements .The transaction must be process less than two seconds. Select on updated test records option. Then the lab in-charge or doctor’s selects the test data that he/she wants update. Then press the update from available options. 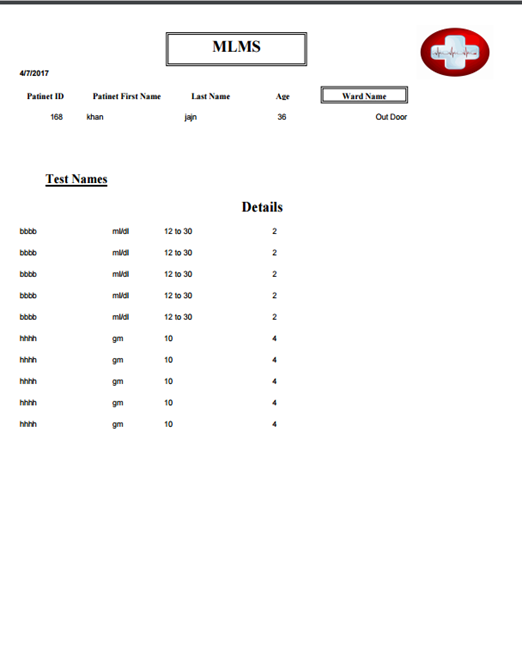 The system displays the test data that is recorded before. Save the updated fill form. If the data’s input is correct then system saved it into the disks. Step 1-10: if the user enters cancel the MLMS will stop the operation. Exit condition. The laboratory making transaction could not be processed. Select on test data records option. Then the lab in-charge or doctor’s selects the test’s that he/she wants to delete. Then press the delete from available options. If the system can successfully delete then displays the message “successfully deleted”. The system removes the test data form disk. Entry condition The medical laboratory must be on process and login to the system. Exit condition. The medical laboratory management system making transaction could not be processed. Summary- change password for system successfully. the system displays change password form. Then press the change login password option. If old password and new password entry were valid then system changes the login password. Step 1-8: if the user enters cancel the MLMS will stop the operation. Entry condition.medical laboratory system must be login to the system. Exit condition. The lab in-charge making trans-action could not be processed. Quality. The transaction must be processed less Than two seconds. The lab incharge use option prepare bill. The lab incharge use option either saves or prints. If it is correct the system saves into the disks if the bill maker press on option saves and sends to printer if bill maker were use option print bill. The system closes the bill form. Exit condition. The lab incharge making trans-action could not be processed. Quality Requirements .The transaction must be processed less than two seconds. The lab in-charge use option of the search medicine. Click on search test report. Prompt the name of the test report or the identification of the test. Press GO button to see the data of test. The lab incharge use option of the “about” then “Help”. Click on what the user to know how to use the system. The system displays the manual for the user. Quality Requirements. The transaction must be processed less than two seconds. Summery-gives summarized report about sold test report data in the week end. The lab in-charge use option of the “report”. The system displays the summarized document. Exit condition The lab in-charge making trans-action could not be processed. 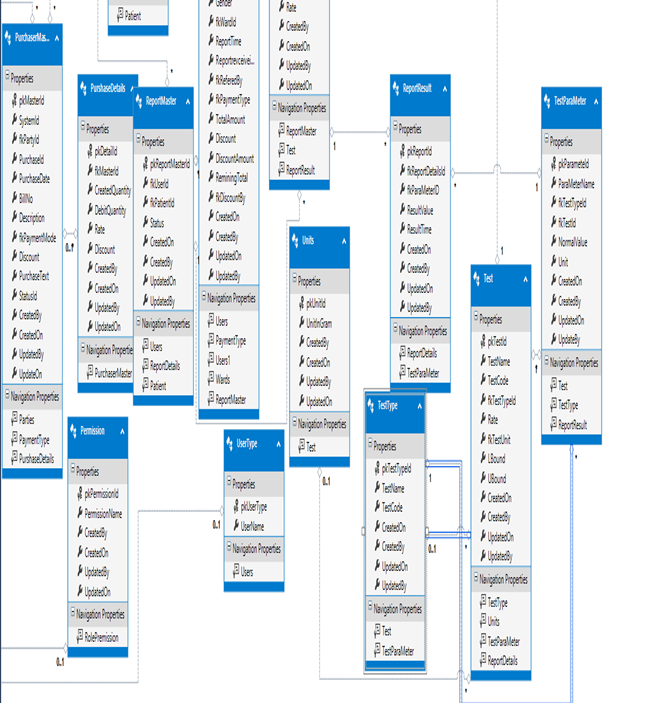 The medical laboratory management system described in methodology of Data dictionary and class diagram. In which different collection of data’s produce were supposed to construct this medical laboratory management system and the relationship of classes that compose the system. Table: Working glossary for Medical Laboratory Management System. Keeping track of important terms and their definitions ensures consistency in the specification and ensures that developers use the language of the client. Test: This test measures your understanding of sentence structure how sentences are put together and what makes a sentence complete and clear. Disk for re-access the data what done. Master Report: The user of the system that have higher privilege to control over it. Record, delete, update, and get report and other actions that Implemented by the system is done by the Report Master. Patient: The customers in Lab. who a laboratory specimen is a biological Specimen taken by sampling, that is, gathered matter of a medical Patient’s tissue, fluid, or other. Prescription. And get bill for that test’s. Necessary information about the test’s that is sold in the week End by indicating date and time. Bill: The piece of paper which store information about single test in which printed or saved into the system. Notification: An alerting message which notify to the user to take action for Unavailable or low test in items. Loundon I, editor. Western Medicine: An Illustrated History. Oxford: Oxford University Press; 1997. Bonner TN. Becoming a Physician: Medical Education in Great Britain, France, Germany and the United States, 1750–1945. Oxford: Oxford University Press; 1995. Ludmerer KM. Learning to Heal: The Development of American Medical Education. Baltimore: Johns Hopkins University Press; 1985. Rosenberg CE. The Care of Strangers: The Rise of America’s Hospital System. Baltimore: Johns Hopkins University Press; 1987. p. 93. Rosen G. The Structure of American Medical Practice: 1875–1941. Philadelphia: University of Pennsylvania Press; 1983. Aub JC, Hapgood RK. Pioneer in Modem Medicine: David Linn Edsall of Harvard. Harvard Medical Alumni Association. 1970:51–52. Flexner A. Medical Education in the United States and Canada: A Report to the Carnegie Foundation for the Advancement of Teaching. Boston: DB Updike The Merrymount Press; 1910. pp. 309–310. James PW. Fifty Years of Baylor University Hospital. Dallas: Baylor University Hospital; 1953. Henderson L. Baylor University Medical Center: Yesterday, Today and Tomorrow. Waco: Baylor University Press; 1978. Race GJ. Department of Pathology: Baylor University Medical Center–1981. Dallas: BUMC; 1981. Race GJ. A history of the development of pathology at BUMC. BUMC Proceedings. 1993;6(2):27–37. Steiner JW, Root JM, Buck E. The regionalization of laboratory services. MLO. June 1994:28–29. Baker MM. The History of Pathology in Texas. Austin: Texas Society of Pathologists; 1996. Cheesbrough, M. (1981). Medical laboratory manual for tropical countries (Vol. 1). M. Cheesbrough, 14 Bevills Close, Doddington, Cambridgeshire, PE15 OTT. Chowdhury, B., & Khosla, R. (2007, July). RFID-based hospital real-time patient management system. In Computer and Information Science, 2007. ICIS 2007. 6th IEEE/ACIS International Conference on (pp. 363-368). IEEE. Berg, K. O., Wood-Dauphinee, S. L., Williams, J. I., & Maki, B. (1991). Measuring balance in the elderly: validation of an instrument. Canadian journal of public health= Revue canadienne de santepublique, 83, S7-11. Rechel, B., Doyle, Y., Grundy, E., & McKee, M. (2009). How can health systems respond to population ageing?. Popescu, B. O., Toescu, E. C., Popescu, L. M., Bajenaru, O., Muresanu, D. F., Schultzberg, M., &Bogdanovic, N. (2009). Blood-brain barrier alterations in ageing and dementia. Journal of the neurological sciences, 283(1), 99-106. Higgins, J. P. (Ed.). (2008). Cochrane handbook for systematic reviews of interventions (Vol. 5). Chichester, England: Wiley-Blackwell. Collins, P. Y., Patel, V., Joestl, S. S., March, D., Insel, T. R., Daar, A.S., … & Glass, R. I. (2011). Grand challenges in global mental health. Nature,475(7354), 27-30. Gubler, D. J., Ooi, E. E., Vasudevan, S., & Farrar, J. (Eds.). (2014). Dengue and dengue hemorrhagic fever. CABI. Zhang, Z., Zhang, L., Hua, Y., Jia, X., Li, J., Hu, S., …&Cai, Z. (2010). Comparative proteomic analysis of plasma membrane proteins between human osteosarcoma and normal osteoblastic cell lines. BMC cancer, 10(1),206. Thieblemont, C., Grossoeuvre, A., Houot, R., Broussais-Guillaumont, F., Salles, G., Traulle, C., …&Coiffier, B. (2008). Non-Hodgkin’s lymphoma in very elderly patients over 80 years. A descriptive analysis of clinical presentation and outcome. Annals of oncology, 19(4), 774-779. Wang, Q., Shin, W., Liu, X., Zeng, Z., Oh, C., AlShebli, B. K.,…&Karahalios, K. (2006, October). I-Living: An open system architecture for assisted living. InSystems, Man and Cybernetics, 2006. SMC’06. IEEE International Conference on (Vol. 5, pp. 4268-4275). IEEE. Jones, E. F., Calafiore, P., Donnan, G. A., & Tonkin, A. M. (1994).Evidence that patent foramen ovale is not a risk factor for cerebral ischemia in the elderly. The American journal of cardiology, 74(6), 596-599.F. Ichikawa, J. Chipchase and R. Grignani. “Where’s the Phone? A Study of Mobile Phone Location in Public Spaces”. In Proc. IEEE Mobility Conference 2005 in Guangzhou, China, 2005, pp. 797 – 804. H. Abu-Dalbouh and M. Almueit. “Designing Mobile Tracking Solution in Monitoring Patients”, ICIT 2013 The 6th International Conference on Information Technology. (Jordan) May 8, 2013. Oxford University: Injuries of Aging Person’s Report. B. Chowdhury and R. Khosla, “RFID-based Hospital Realtime Patient Management System,” in proceeding of 6th IEEE International Conference on Computer and Information Science, Melbourne, (Australia), July, 2007, pp. 363 –368. T. Malan, Fulford-jones, M. Welsh, and S. Moulton, “CodeBlue: An ad hoc sensor network infrastructure for emergency medical care,” in Proceeding of International Workshop on Wearable and Implantable Body Sensor Networks, (London) 2004. J.J. Oresko et al., “A Wearable Smartphone-Based Platform for Real-Time Cardiovascular Disease Detection Via Electrocardiogram Processing,” in proceeding of IEEE Transactions on Information Technology in Biomedicine, vol. 14, No. 3, 2010, pp. 734 – 740. Mei-Ying Wang, J.K. Zao, P.H. Tsai, and J.W.S. Liu, “Wedjat: A Mobile Phone Based Medicine In-take Reminder and Monitor,” in Proceeding of 9th IEEE International Conference on Bioinformatics and BioEngineering (BIBE ’09),(Hsinchu, Taiwan), June 2009, pp. 423 – 430. P.D. Haghighi, A. Zaslavsky, S. Krishnaswamy, and M.M. Gaber, “Mobile Data Mining for Intelligent Healthcare Support,” in proceeding of 42nd Hawaii International Conference on System Sciences (HICSS ’09), Clayton, 2009, pp. 1 – 10. Jon. Chowdhury and Sal. Khosla, “RFID-based Hospital Realtime Patient Management System,” in proceeding of 6th IEEE International Conference on Computer and Information Science, Melbourne, (Australia), July, 2007, pp. 363 –368. Thieblemont, C., Grossoeuvre, A., Houot, R., Broussais-Guillaumont, F., Salles, G., Traulle, C., …&Coiffier, B. (2008). Non-Hodgkin’s lymphoma.